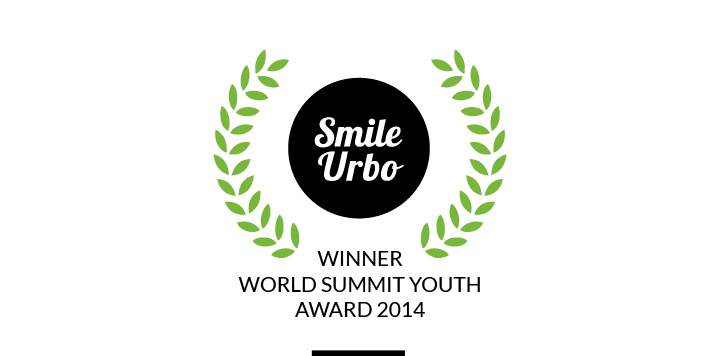 SmileUrbo, the interactive role-playing game developed by the organisation Smilemundo, has been named a finalist in the World Summit Youth Award. Each year, this international competition brings together young entrepreneurs from around the world who use the internet and mobile technology to help achieve the Millennium Development Goals (MDGs). In 2014, there were nearly 1,900 submissions from over 140 countries, from which only 18 winning projects were selected from among the various categories. SmileUrbo is an interactive simulation game which aims to teach the community about the values of education for development and cooperation. It is a tool designed to enable non-profit organizations and educational institutions to work with teams and communities to improve social welfare and the sustainability of the planet. The World Summit Youth Award is an important event, in which all UN and UNESCO members participate. It brings together projects carried out by entrepreneurs aged under 30 who want to use digital technology to improve the world and fight injustice. There are six categories in the competition: Fight poverty, hunger and disease!, Education for all!, Power 2 Women!, Create your culture!, Go Green! and Pursue truth! The jury chose three finalists from each category. SmileUrbo was a finalist in the category Education for all, along with two other projects focused on providing access to education through innovative approaches in technology: Sterio.me and ClassCoud. The large international jury consisted of social activists, young entrepreneurs, members of the business community and IT experts. The WSYA Winners’ Event will be held from 15 to 17 June 2015 in Sao Paulo (Brazil). It will provide a new opportunity to promote SmileUrbo to a global audience and is an important networking opportunity for young social entrepreneurs and other representatives from international organizations. Do you want to know the 18 finalists of the World Summit Youth Award 2014?